NH Investment & Securities Co. won the 10th Comprehensive IB Award for the first time since 2016, which at the time was the third year in a row that the securities company clinched the award. The securities firm was recognized for a number of achievements in the past year, including being the top firm in the ECM and also in the DCM being the top company in the market. 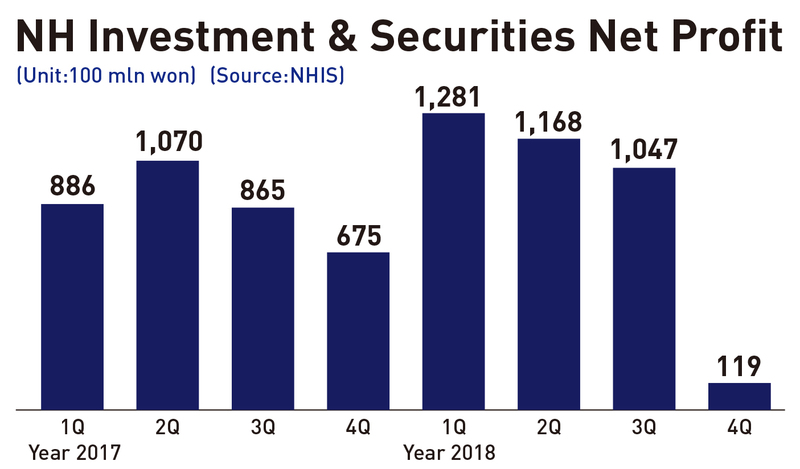 NHIS, in fact, achieved the best annual results in 2018 with its investment banking sector leading the way. Its operating profit rose 17.6 percent YoY at 540.1 billion won and net profit up 3.4 percent YoY at 361.4 billion won, both setting the records as the largest in its history, although its sales at 9.241,3 fell 3.2 percent YoY. In the ECM sector, the company lead-managed 15 cases totaling 2.422 trillion won, capturing the top position in the sector for two years in a row. Its market share jumped to 22.5 percent to be the only firm in the securities sector to cut up such a large market share exceeding the 20 percent level. The largest deal that the company handled amounted to over 1 trillion won. NH Investment & Securities has lead-managed some of the biggest deals in the market, including the Hyundai Heavy Industry’s capital increase by the issuance of new shares worth 1.408,8 trillion won, while co-leading others including Samsung Heavy Industry’s capital increase through the issuance of new shares. The company also took care of nine initial public offerings, including Air Busan Optifarm. The company’s diverse dealings included the Hanwha Galleria Time World BW which showed that the company did very well in many areas of its operation. In the DC Market sector, the company also did well enough to rank second in a number of dealings it managed. In the corporate debt area, the company managed 13.685 trillion won worth of debt issuance deals. 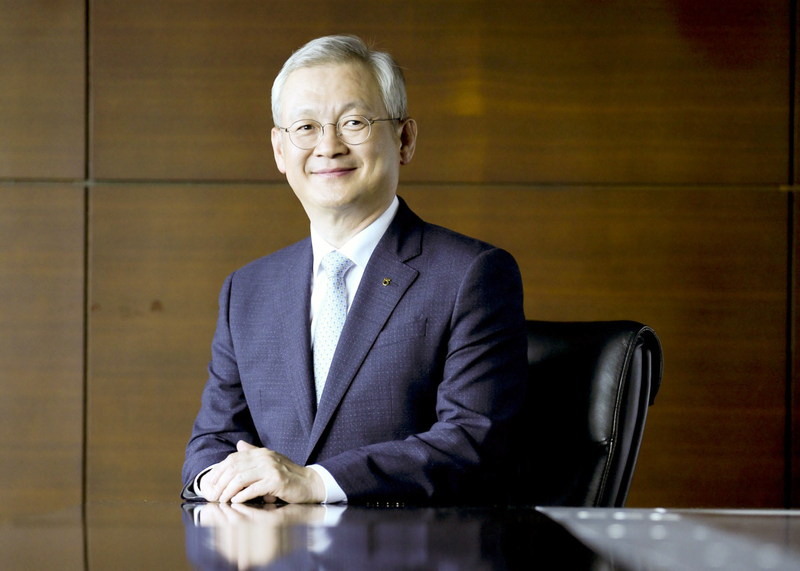 The company managed the debt issue undertook by companies as Hanon System, Ssangyong Cement, Daesung Industrial Gas, Homplus, H Line Shipping, and ADI Caps, among others. NHIS also took part in the overseas replacement investment market, handling the deals for such companies as the stake investment in the London Recycled Power Plant, the U.S. Texas LNG Terminal, the Takeover of Stake in the Swedish Land Wind Power Plant and the British Portable Water and Sewerage Fund. The company has also been active in the note issuance market as an IB with more than 4 trillion won in capital. The company had a hand in the issuance of notes totaling 1.8 trillion won since it obtained the license for short-term financial company in May, last year. The company aims to boost its reputation as a leader in the capital market in Korea as its growth in all the IB sectors of its operation as a weapon by providing all kinds of tailor-made solutions to its customers, individuals, organizations and corporations aiming at 1 trillion won in operating profit in 2023. The company’s ordinary profit in 2018 amounted to 504.8 billion won, up 14 percent YoY. NH Investment and Securities will invest in Central and South America in partnership with an organization of the Inter-American Development Bank (IDB). The company announced on Nov. 5 that it has signed a memorandum of cooperation (MoC) with IDB Invest, an investment and management arm of the IDB, in Yeouido, Seoul, to establish an investment fund. The IDB is a multilateral development bank with 48 member countries. IDB Invest provides private clients with customized financing solutions and expert advice tailored to their specific industry and market.